The Board of Public Works (also known as the Board of Works and Safety) is responsible for the administrative management of the City of Columbia City. The Board is made up of the Mayor and two of the Mayor’s appointees. The Board has many roles and responsibilities including entering into contracts, accepting new public infrastructure, spending money, and managing most city departments. The Board meets on the Second and Fourth Tuesdays of each month at 5:00pm in the Council Chambers on the 2nd floor of City Hall. I am proud to continue serving the residents of Columbia City as their mayor. Prior to my election in 2011, I previously worked for Lt. Governor Becky Skillman in the Office of Community and Rural Affairs. I am a Columbia City High School Graduate (2003) and a Anderson University Graduate (2007) with a Bachelors of Arts degree in Political Science. I am married to Reverend Amanda Daniel and have a daughter, Aria. I’m thankful that our community is a growing and friendly community. We invite you to consider joining us for a weekend or decide to stay for a lifetime. We are building a future together and we want you to join us! I welcome the opportunity to hear your comments and/or concerns. *To set up an appointment with the Mayor, please call the office in advance as schedules tend to fluctuate from day to day. This is my 8th term in office. I enjoy the job and love serving the citizens of this community. 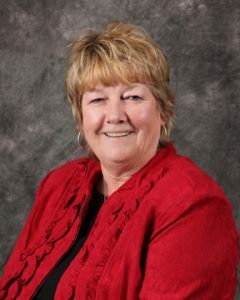 I am a designated Indiana Accredited Municipal Clerk and have served as District Director for the Indiana Association of Clerks and Clerk Treasurers, served as Executive Director of the Clerk’s League for Third Class Cities, have served on the Columbia City/Whitley County Joint Planning Board and I am a current member of our Computer Software User Advisory Board. In 2006 I received the Financial Municipal Management Award for the State of Indiana. I have worked for the City since 1965 and in 2015 I will have 50 years working for the City. I am the daughter of the late Joe & Mary Parent. My husband Larry and I have 3 children Chad Coyle (deceased), Todd and Carmen Coyle, Kimberly (Jerry) Jones, and have four wonderful grandchildren. My church affiliation is St. Paul of the Cross. This will be my third term in office and I am very honored to have this opportunity. I want to continue to bring a high level of trust and responsibility to this position. I want to listen and openly communicate the issues that are before us. I have resided in Columbia City for close to 28 years. I am currently employed by Whitley County Government as the GIS Coordinator. I have had the privilege of coaching High School Athletics for 28 years. I am currently varsity coach with the CCHS Softball program. I earned the rank of Eagle Scout as a member of the Boy Scouts of America . I am a active member of Columbia City United Methodist Church. I enjoy all types of sporting events. Most importantly, spending time with my wife of 26 years Laura, our son Kyle, and our daughter Anna. Walter Crowder has been a resident of Columbia City since 1970. Walter and his wife Joy, we been married 40 years. We have a son (Ryan) and a daughter (Jody). We have 3 grandchildren, Coulter,Luke and Taylor. I’m starting my 4th term on City Council of the Northeast District and 3rd term on Board of Works. I’ve been elected by my colleagues for Council President for overs 9 years. I’ve retired from Sprint Corp with 28 years and Parkview Health System with 12 years. Currently working at Robert Bosch in Albion as a Group Leader. I’m currently inactive with the Columbia City Fire department, serving for over 23 years. Offices held on the department has been, firefighter,Captain,Asst. Chief and Chaplin.